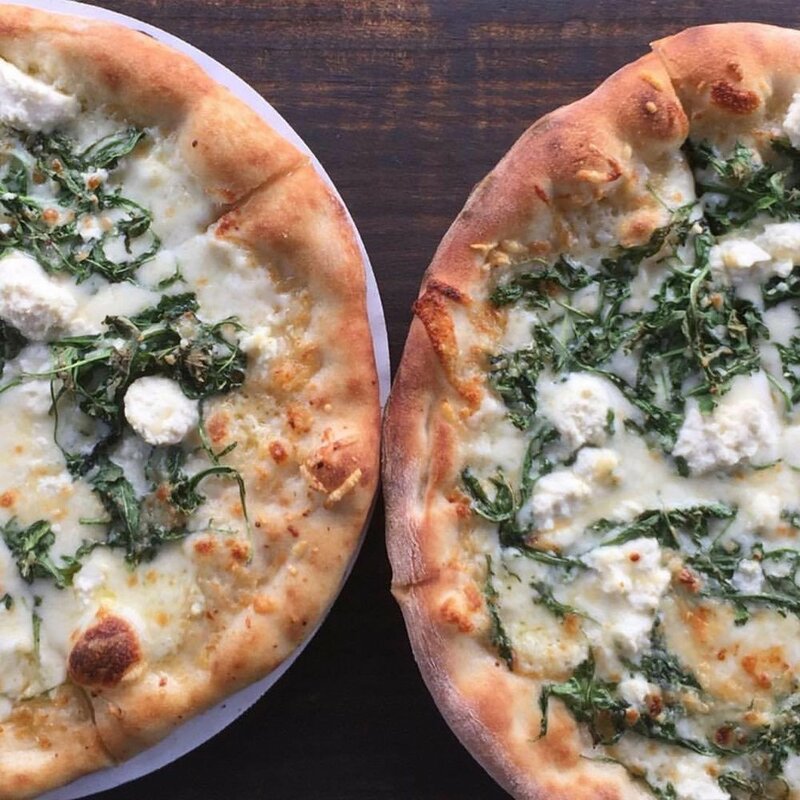 Housing a wood fired oven from Naples, Italy, we create authentic Italian pizzas in 850 degrees. We take crafting pizzas to another level. Wheeling around our 3,000lb Italian made pizza oven, we take our craft seriously. But let's be real, it's pizza, how serious can we be? The 20 fit trailer houses everything we need to make a delicious pizza, and your event spectacular. 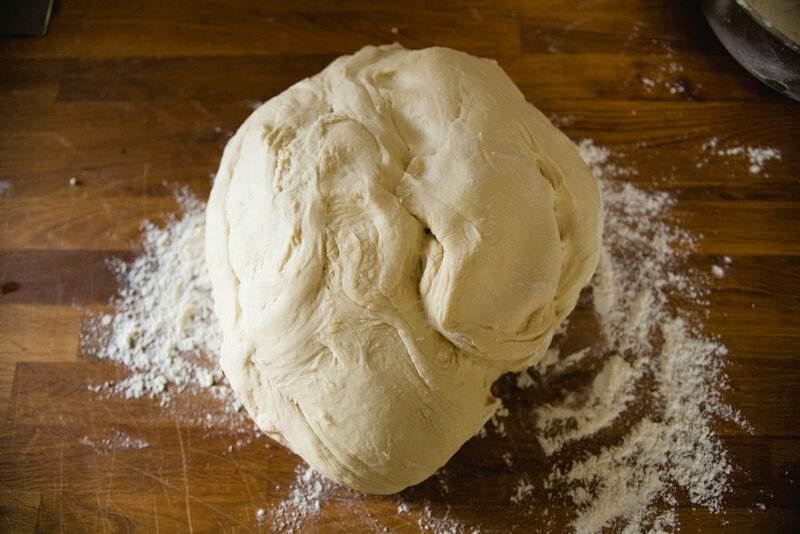 We boast over our ability to turn a piece of raw dough into your pizza in 70 seconds flat. Piping hot pizza that is enjoyed with the cheese still bubbling, how it was always meant to be. (Don't worry we don't actually put it in your hands, no burning is involved.) We would love for you to come hang out by our fire. Contact us below! We created the Dough Box from our passion for food & serving people. This entrepreneur dream started in our early 20s when we helped start and run a full scale Italian restaurant in East Texas. When our hearts brought us to Nashville we knew having our own restaurant was in order. Soon after our first daughter was born the brick and mortar idea was becoming more of a far fetched dream. Kids are a lot of work ya’ll! When the concept of having a food truck came to mind we knew that although we would still have hard work ahead of us, we would be able to manage our family values alongside our passion. We bought ourselves a big empty box trailer, ordered a wood fired pizza oven from Naples, Italy and began building what is one of our greatest accomplishments. Two years of building, planning and adding a second baby girl to the family, we are ready to start our venture. You will find us out at art fairs, wine festivals, music venues and even your next catered event. 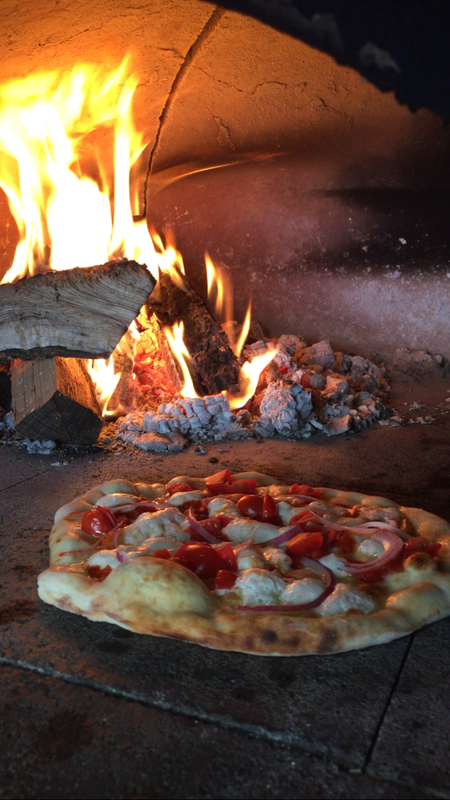 Come hang out by our fire and enjoy one of our cheesy creations from our 850 degree wood fired oven. Planning a wedding? Business Lunch? Event for your church or rec league? We've got you 800 degrees covered no matter what type of event you are having! Guests will walk up and order their very own custom, individual sized pizza. Warmed by the fire while they wait a mere 90 seconds for their piping hot pizza to be baked. Average time to feed 50-60 guests is approximately 1 hour. Additional a la carte items can be added from our menu below. Guests will enjoy a self-serve family style arrangement of our different pizza options. Our staff will replenish the table with unlimited wood-fired pizzas during our cook time. Average time to feed 50-100 guests is approximately 1 hour. Average time to feed 100-200 guests is 2 hours. Additional a la carte items can be added from our menu below. Guests will enjoy a self-serve appetizer style arrangement of our different pizza options. This is perfect for those wanting a late night nibble after a big event or a cocktail hour before. Average cook time for this is an hour. In an hour we can serve up to 200 guests a tasting of our pizza options. Additional a la carte items can be added from our menu below. There is a $150 set up fee in addition to the prices listed above. Our minimum event charge is $1000, which includes the set up fee. These prices do not include taxes or gratuity. Events within 50 miles of Nashville incur no additional travel charge. Please contact us for travel rates. You must love pizza if you have gotten this far. Well you are in luck, we do too, and we happen to make a darn good one! That makes us instant friends. Lets chat by our fire and grab a slice!